Live A Live (ライブ・ア・ライブ, Raibu A Raibu, LIVE A ∃VI」<EVIL>?) is a role-playing video game developed by Square (now Square Enix) for the Super Famicom released in Japan on September 2, 1994. It was never released outside Japan, but it has been unofficially translated into English.Live A Live's story begins with a series of seven seemingly unrelated chapters which can be played in any order, based on popular genres such as Western, science fiction, and mecha. Each chapter has its own plot, setting, and characters. Although the basic gameplay is the same throughout the game, each chapter adds a new factor to the basic formula, such as the stealth elements in the ninja chapter. After the first seven chapters are completed, two final, sequential chapters take place, linking the previous chapters into an overarching plot and resolving the story. Lodoss Tou Senki is a Role-Playing game, developed by Thinking Rabbit and published by Kadokawa Shoten, which was released in Japan in 1995. 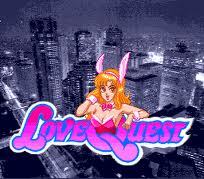 Love Quest (ラブクエスト?) 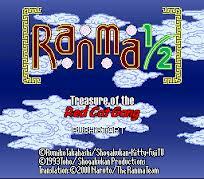 is a 1995 video game for the Super Famicom that was released exclusively in Japan. Initially, the game was planned to be released for the Family Computer. A prototype copy of this game was leaked into the public and has been sold for a price of 250000 Yen at an online auction that took place in 2008. 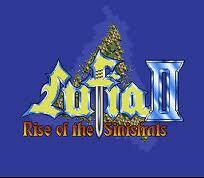 Lufia II: Rise of the Sinistrals, known as Estpolis Denki II (エストポリス伝記II?, officially translated Biography of Estpolis II) in Japan, and as simply Lufia in Europe and Australia, is a role-playing video game game with puzzle elements developed by Neverland and published in Japan in 1995 by Taito, and in North America and Europe in 1996 by Natsume and Nintendo respectively, for the Super Nintendo video game console.The game is a prequel to Lufia & the Fortress of Doom. It follows the story of the first main character's ancestor, Maxim, and explains the origins of the war between mankind and a group of gods called the Sinistrals. 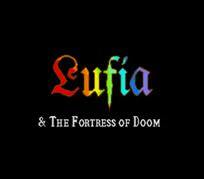 Lufia II made a number of changes from the first game. Dungeons no longer have random encounters and there are hundreds of puzzles throughout the game, ranging from simple to extremely challenging. It also introduced new skills, such as a variety of weapons that could be used to stun monsters or solve puzzles, and IP attacks. 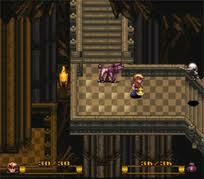 In 2009, Square Enix announced a re-imagining of the original game titled Lufia: Curse of the Sinistrals. Magic Knight Rayearth (Japanese: 魔法騎士(マジックナイト)レイアース, Hepburn: Majikku Naito Reiāsu?) is a Japanese manga series created by Clamp, an all-female manga artist team consisting of Satsuki Igarashi, Ageha Ohkawa, Tsubaki Nekoi and Mokona. Appearing as a serial in the manga magazine Nakayoshi from the November 1993 issue to the February 1995 issue, the chapters of Magic Knight Rayearth were collected into three bound volumes by Kodansha, and published from July 1994 to March 1995. A sequel was serialized in the same manga magazine from the March 1995 issue to the April 1996 issue, and was published by Kodansha in three bound volumes from to July 1995 to April 1996. The series follows three eighth-grade girls who find themselves transported from modern-day Japan into a magical world, where they are tasked with rescuing a princess. Rayearth combines elements from the magical girl and mecha anime genres with parallel world fantasy. The manga was adapted into two anime series in 1994 and an original video animation (OVA) in 1997. Metal Max Returns is a Role-Playing game, developed by Crea-Tech and published by Data East, which was released in Japan in 1995. 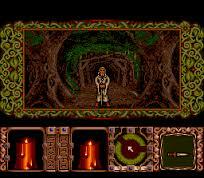 Might and Magic III: Isles of Terra is the third game in the role-playing video game series Might and Magic. 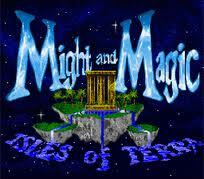 Released in 1991, it is the predecessor to Might and Magic IV: Clouds of Xeen and the sequel to Might and Magic II: Gates to Another World. 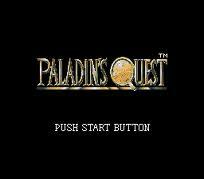 Paladin's Quest, originally released as Lennus: Kodai Kikai no Kioku (レナス 古代機械の記憶?, "Lennus: Memories of an Ancient Machine") in Japan, is a Utopian/Dystopian science fantasy role-playing video game developed by Copya System and published in Japan by Asmik Corporation on November 13, 1992, for the Super Famicom. It was published in North America by Enix in October 1993. It was different from other role-playing games at the time, because when the player casts magic, it takes away HP (health points) instead of MP (magic points/power). Robotrek (released under the title of Slapstick (スラップスティック, Surappusutikku?) 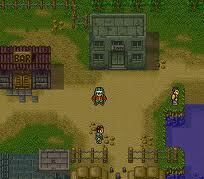 in Japan) is a role-playing video game released in 1994. 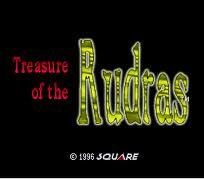 It was published by Enix and developed by Quintet and Ancient for the SNES video game console. 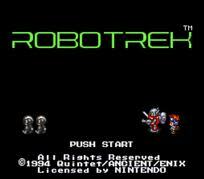 As its Japanese name implies, Robotrek was intended as a humorous game. Designed to appeal to a younger audience, Robotrek's main focus is on allowing the player to raise up to three robots which are built from spare parts that may be found, gained through battles, or generated by the player by means of the game's item combination system. Next Generation describes it as a predecessor to the core idea of Pokémon in the sense that the protagonist does not himself fight, but sends out his robots to do so. Like Pokémon, each robot was kept in a ball. 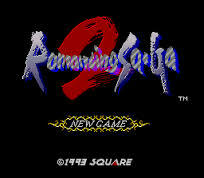 Romancing SaGa 2 (ロマンシング サ・ガ2, Romanshingu Sa Ga Tsū?) is a role-playing video game developed by Square and released exclusively for the Super Famicom system in Japan on December 10, 1993. It is the fifth title in the SaGa series. Video game music composer Kenji Ito composed the score. 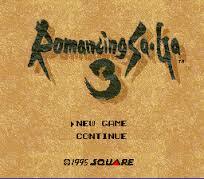 Romancing SaGa 3 (ロマンシング サ・ガ3, Romanshingu Sa Ga Surī?) 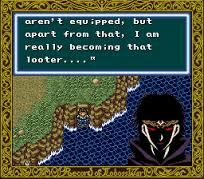 is the sixth title in the SaGa role-playing video game series developed and published by Square (now Square Enix) and released exclusively for the Super Famicom system in Japan. 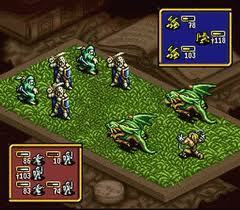 It was also the third and final SaGa title to be released for the Super Famicom. 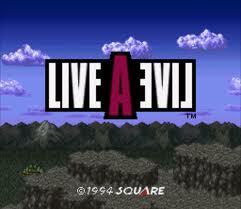 It has also been available on the Wii Virtual Console in Japan since September 21, 2010.